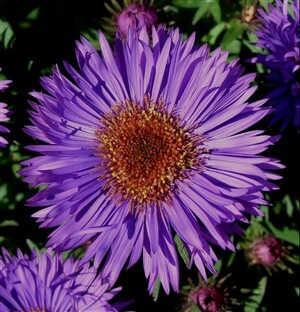 Aster n angliae 'Purple Dome' An excellent compact form with large dense heads of rich purple flowers with a conspicuous yellow eye. No mildew or staking, for sun. Oct-Nov. (Symphyotrichum n angliae 'Purple Dome').